Song pedigree tea cultivar Huangzhi Xiang distinguishes itself from others of the same name not only by its living ancestor that has been carbon-dated back to the 13th century (late Song), but also by the elegantly complex taste and aroma of the tea it yields. That is why it is the most revered of all Phoenix oolong in its own origin and at the nearby Gongfu Tea Capital of the World — Chaozhou. Fresh, bright floral aroma with a distinctive touch of ripen tangerine and an accent of raw honey. Silky sweet infusion of a fine, lively body delicately balanced with the tingling bitterness of tangerine peel and tones of fresh herbs. Long, soft, fruity bittersweet aftertaste and after aroma. This tea is much better realized using the gaiwan in a gongfu approach. Do not use overly too much tealeaves so you can infuse for at least 20 seconds in the first round for the elegantly wonderful first impression. Try 6 g in a 160 ml. A deep citrus flavor pervades the mouth that carries through for endless brews. Huigan is huge and long lasting. The tea has some power and quick infusions bring out its smoothness and good mouthfeel. This was a treat! This beautiful dancong has what, to me, is the perfect balance of sweet and bitter, with an enticing mouth feel and a lingering, tongue coating taste. The citrus bite is very apparent and pleasing. Oh, the excitement when the Tea Hong box arrives! Song Cultivar was the first to be sampled after the un-boxing of my second shipment. 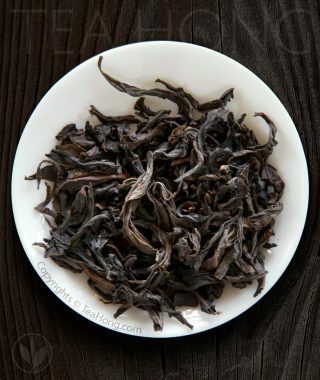 The dry leaves make music as they tinkle into the gaiwan, blooming into a mass of plump foliage when brewed. The tea is clear and golden brown but tastes like a gray, misty day by a crackling fire. Deep and slightly bitter, it leaves a citrus-like perfume lingering on your palate. Produced using a Phoenix native cultivar Da Baiye ( i.e. Big White Leaf ), and has certain taste similarity as the rarer Song Cultivar Huangzhi Xiang, this tea is popular amongst traders for use as a substitute for the pricier label. Tea Hong’s top quality selection, Big White is certainly a good demonstration of how this tea can fool the lesser experienced connoisseurs. 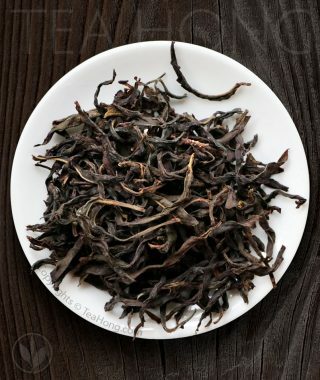 That said, however, the trained tongue can certainly tell it is a fine tea on its own for the uniqueness in its floral aroma, silky texture and soft, smooth body. For people who like classic style Phoenix but desire something more mellow than Honey Orchid, Orchid Gratus offers a taste that is as full-bodied. It is balanced with as subtle a warm and slightly sweet aroma. 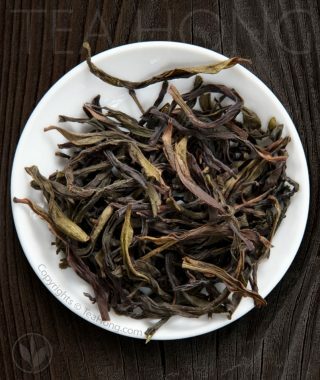 Not only is this a great choice for the veteran tea connoisseur who seeks peace in the cup, but is also a bridge between softer oolongs and the more vibrant world of taste in Fenghuang Dancong. 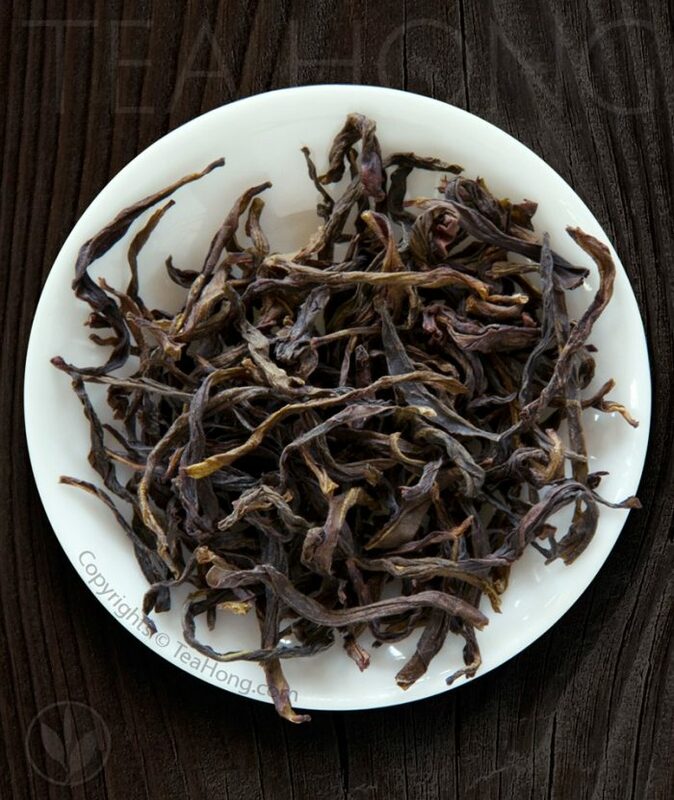 To us, offering the extremely rare Shiguping Wulong is not a challenge enough. We think we should give you the best of its kind. Trekking further deep into the mountain above the elusive main village of Shiguping we found the patch of land which the locals called Liao-xi-ya, where it all began. The tea is softer, yet fuller and even more complex than that in the main village. 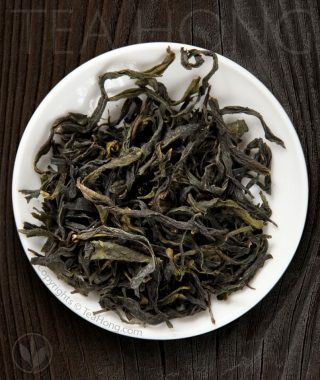 The very original Shiguping Wulong*, as highly acclaimed by the man who devoted all of his life in advocating oolongs of Phoenix, the 74 years-old tea specialist Huang Bozi. No this is not the beer but 100% pure oolong. Wuyi classic oolongs in general distinguish themselves from other oolongs with a stout, rather immediate and powerful impact. Tea Hong’s Cream Stout differs from the crowd with a soft creamy finish and a light tone of cream that is developed naturally in the tealeaves themselves. This is possible only with a new pedigree of tea cultivar, Aijiao Wulong. We believe you’ll like the oolong much better than the beer, as we do.